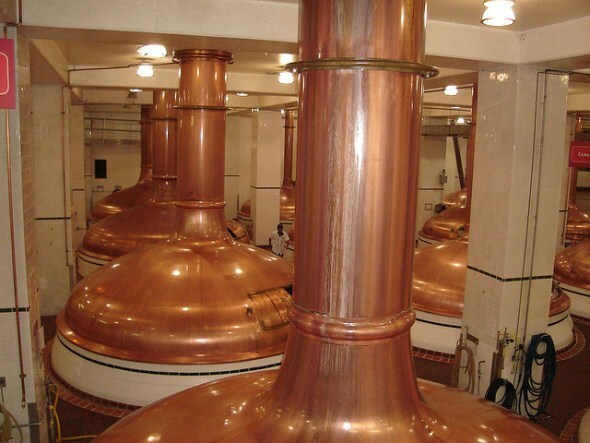 The largest single-site brewery in the world – Coors Brewing Co. – calls Golden home. In 1973, German immigrants Adolph Coors and Jacob Schueler partnered in setting up a brewery in the new town of Golden. Seven years later, Coors bought out his partner and kept at the craft. Many breweries failed during Prohibition, but Coors shifted focus to its sister porcelain works and making malted milk for Mars candy company. After the repeal of prohibition, Coors was back to beer. Coors has formed a partnership with the Miller Brewing Co., with the new company called MillerCoors. The Golden brewery is open on a varying schedule for free tours and tasting. The facility can brew up to 22 million barrels and package up to 16 million barrels annually. The company also owns and is a partner in operating the nation’s largest aluminum can manufacturing plant in Golden and a glass bottle manufacturing plant in Wheat Ridge.